We are delighted to bring you our latest equestrian image products. Additional images will debut in the coming months, so continue to check our website for new offerings. We are including prints on paper, Giclee prints on canvas and note cards. Any of these would make a wonderful gift! This is the only location online to purchase these items! Buy these exclusive products here. This reproduction on paper depicts one of a series of "Ghost Horses" that Beth created using acrylics and ink on watercolor paper. 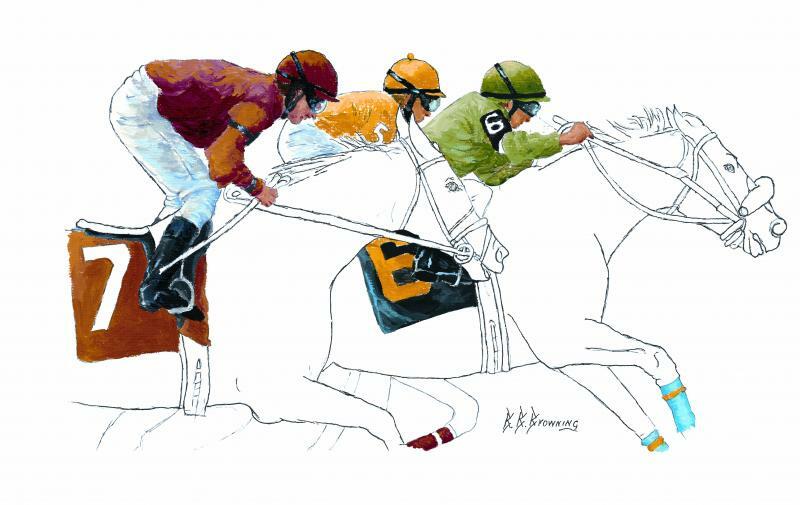 This print measures 12" x 18" and begins our production of images celebrating the upcoming World Equestrian Games. Watch for each new release! This reproduction on paper depicts the second in a series of "Ghost Horses" paintings that Beth created using acrylics and ink on watercolor paper. 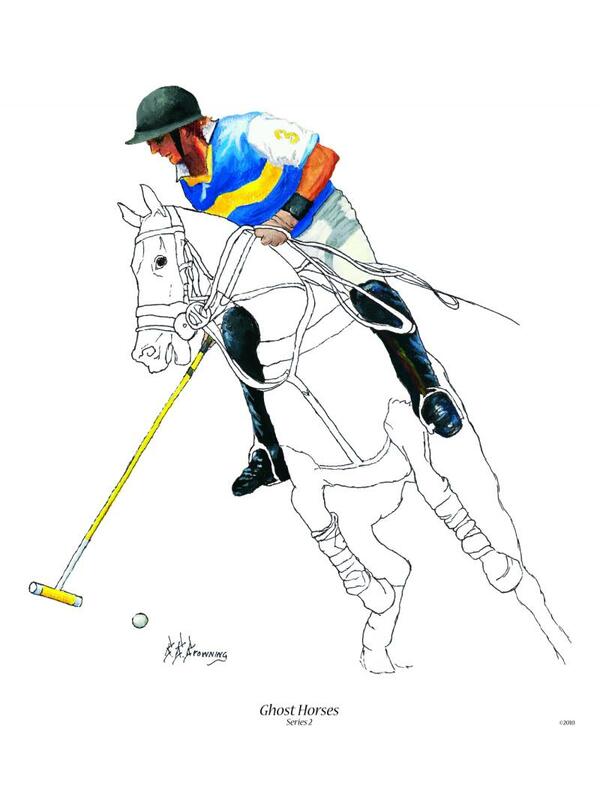 The print measures 12" x 16" and is a great representation of the sport of Polo. This is a package of 6 notecards (4.25" x 5.25") and envelopes depicting the "Ghost Horses", Series I. The image is framed with a black line and the inside is blank for your personal correspondence. Each item sold here and reproduced from Beth's images were directly supervised by her and meet her high quality standards for representations of her work. We offer the best in original fine art and reproduction art!